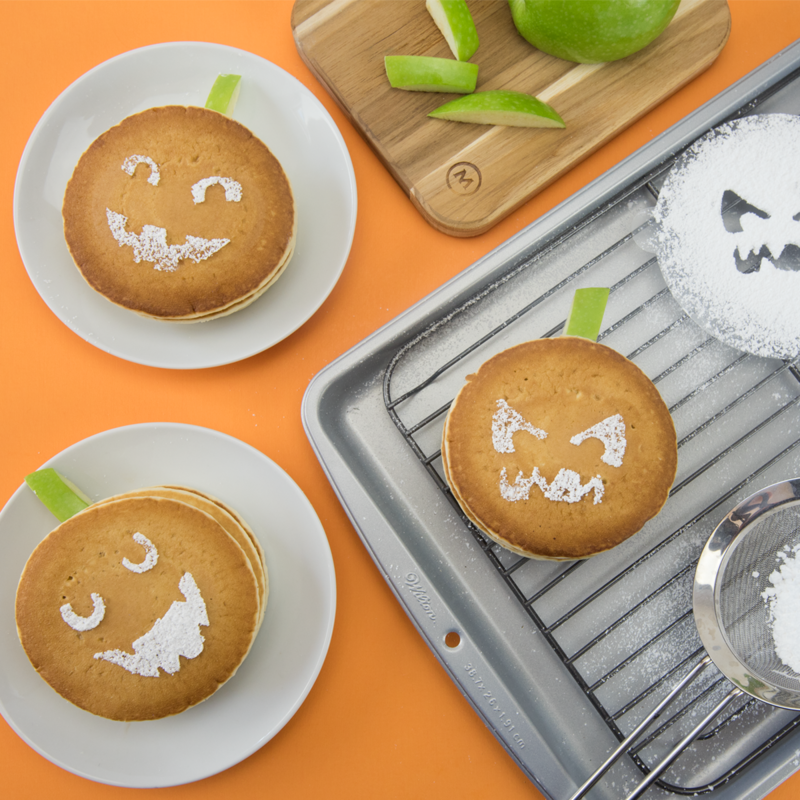 These jack o' lantern pancakes prove you shouldn't be afraid to have fun with food! Your kids are sure to adore this fun Halloween treat. Next place the jack o' lantern stencil on top of your pancakes. Then sprinkle powdered sugar over the pancakes using a sifter and carefully remove the stencil to reveal a spooky sugar face. Finally, slice your apple into thin rectangles to form your pumpkin stems. Your Jack O' Lantern Pancake treats are ready to eat!